Measure range-of-motion for all major articulations, cervical rotation, lateral flexion of the head and anterior-posterior cervical flexion. Bubble level assures measurement is made on horizontal plane. Two 180° opposing scales in 5° increments. 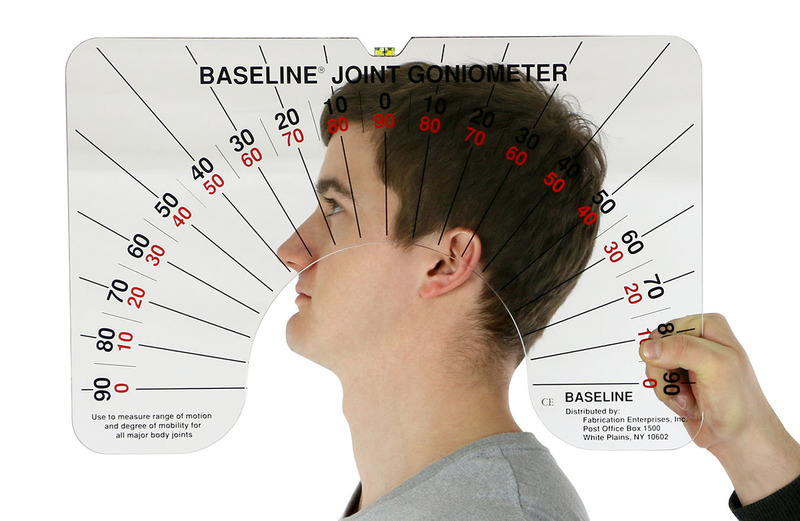 Baseline posture evaluator provides accurate and repeatable measurements. Use the angle pointer to find and measure alignment.